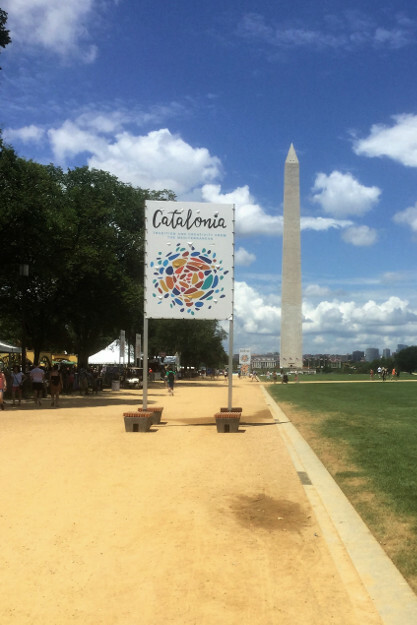 I went down to the Mall last Thursday to check out the Catalonia section of this year’s Smithsonian Folklife Festival. Perfect day for it. Just a few hours earlier, the Mall had been filled with tens of thousands of people watching the Fourth of July concert and fireworks, but by morning, every trace of them was gone. 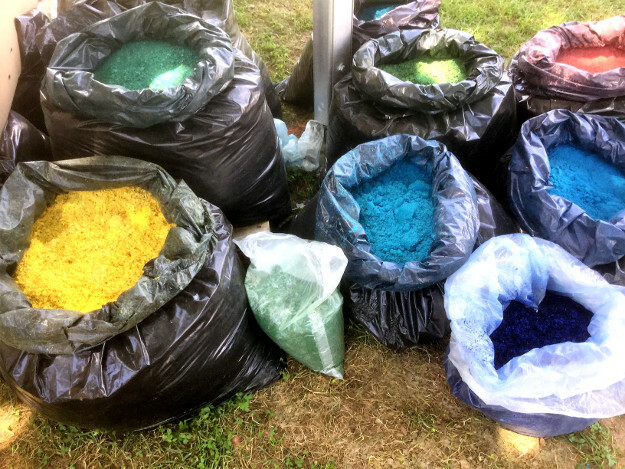 The Park Service is really good about clean-ups. Of course I went for the food. I had Catalon Pa Amb Tomàquet, which is garlic and tomato toast, with Serrano ham. Lousy picture, great sandwich. When US troops arrived in Europe after D-Day in WWII, Europeans were impressed with the height of Americans soldiers. Things have changed since then, especially in Scandinavia and Holland, where the local teenagers now tower over typical US visitors. The only place in Europe where I’ve ever felt taller than most of the residents was in Spain. I thought about that as I watched the dance of the Associació de Geganters i Grallers d’Oliana. The image at the top of this post is from the Folklife Festival’s website. 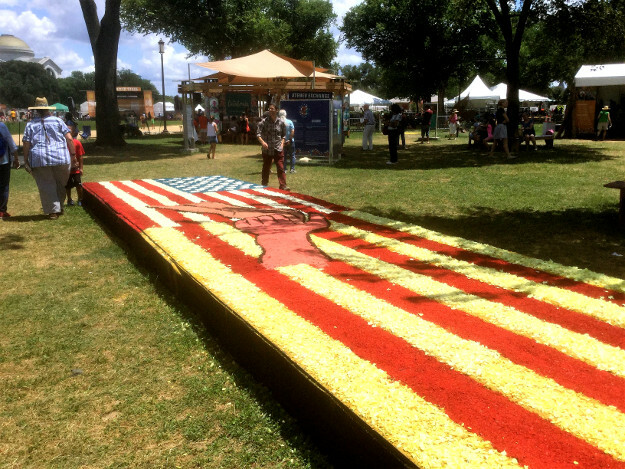 This entry was posted in Athletics, Design, Events, Museums, Performance Art, Photography, Video and tagged Smithsonian, Smithsonian Folklife Festival on 11 July 2018 by bcarter3.